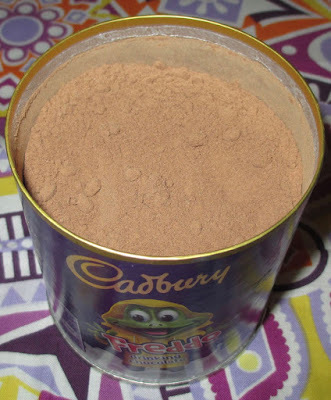 Under the Morrisons website section for newly listed products was this Cadbury Freddo Drinking Chocolate. I popped a tub on my order as it sounded soothing for Autumn, and right after that the September heat wave kicked in, no need to thank me. Anyway it arrived and I opened the tub and made hot chocolate despite the unseasonal warm weather. 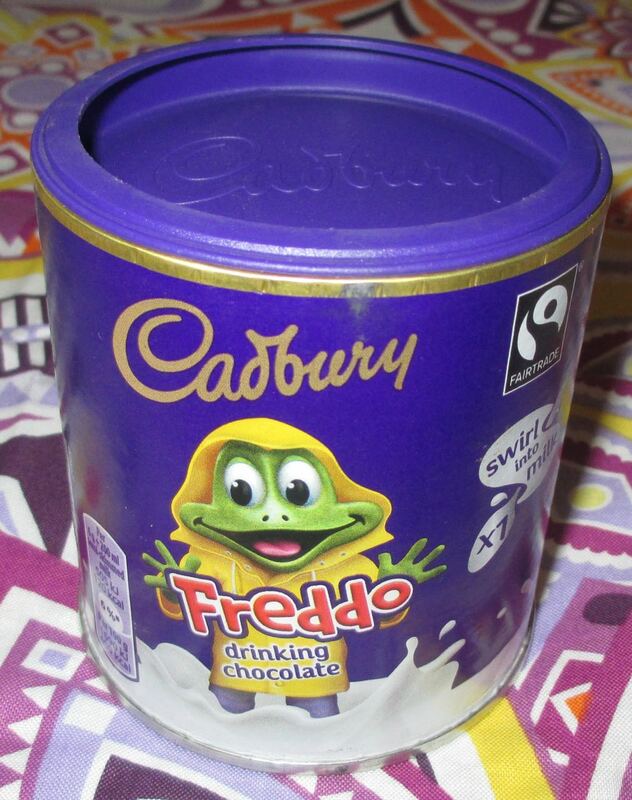 First thing to note was that I had naively been expecting mini Freddo chocolates in the tub, mixed in with the powder. There were none. I was really struggling to find the connection between the product and the Freddo reference on the front. There was nothing Freddo-ish about the drink, no chocolate frogs at all and I felt like I was completely missing something. Freddo chocolate frogs are just Dairy Milk chocolate, and that means that this is just a dairy milk hot chocolate, and the last step in this reasoning is that its just regular Cadbury's drinking chocolate repackaged with a chocolate frog on the front. I have to admit to feeling a bit let down, I’d bought a tub of Cadbury drinking chocolate because of the packaging. In terms of the drink itself I made a mug of hot milk and added the prescribed one heaped teaspoon. It mixed in surprisingly easily, and after a few stirs it was thoroughly dissolved. 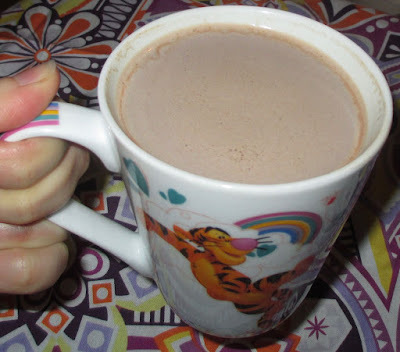 I tasted the drink and found I had a mug of milk with a hint of chocolate. So I went back to the tub and added in another heaped teaspoon because my taste buds felt it was needed. Then I had a drink I rather liked, it was sweet and chocolatey and rather soothing. So it's a nice drink because it is a Cadbury cocoa based drink, the relevance to it being a Freddo edition was lost on me. Do I need to buy a frog shaped mug or something? I didn't need to buy or even look at the physical packaging to see where this product was heading. It really is the most cynical of marketing by Mondelez International to use a name to promote absolutely nothing new.